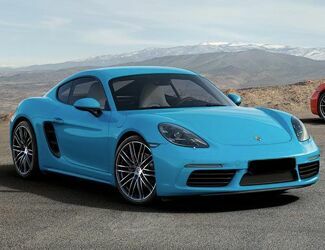 Porsche built the Cayman with passion and a desire for the ultimate road experience. There is thought and care behind every line of the Cayman. With every turning of the wheels a new adventure is unlocked. The road streams underneath the Cayman and creates the sensation of freedom and empowerment. There is a future out there, and the Cayman will lead the way. Porsche has built a vehicle that can take corners the way that they were meant to be taken, and still fly off the line. The sound of the engine alone will be enough inspire a previously unreachable level of automotive enlightenment. Porsche does not build cars for consumers, it builds cars for drivers, and the Cayman has the power to unleash the inner driver in all of us. 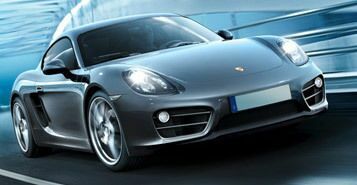 1Actual lease price determined by your authorized Porsche dealer; your payments may vary. Closed-end lease offered to qualified lessees with approved credit by Porsche Financial Services through participating U.S. dealers. Must take delivery by 10/1/2018. 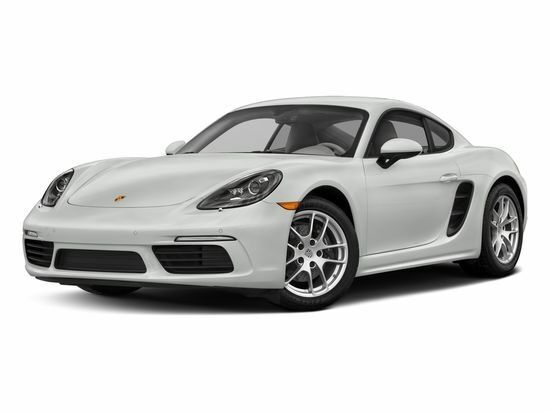 Estimated payments based upon MSRP of $67,520 (includes delivery, processing, and handling fee) for a Model Year 2018 718 Cayman with the following options: Premium Package (Power 14-way Sport Seats with Memory Package), Porsche Doppelkupplung (PDK), 19" Cayman S Wheels, Lane Change Assist, Sport Style Pedals and Footrest, Navigation Module for Porsche Communication Management (PCM). Model pictured may have optional features and equipment. Price excludes any title, taxes, registration, license fees, insurance, maintenance and dealer fees. Lease payments of $599.47 for 24 months total $14,387.28 based on the adjusted capitalized cost of $59,040 (requires dealer contribution which could affect price). Total due from customer at signing $6,659.47 (first month’s payment, acquisition fee of $995 and capitalized cost reduction of $5,065). No security deposit required. At lease end, lessee pays excess wear, $.30/mile over 15,000 miles and $350 termination fee. Purchase option at lease end $47,939.20 plus taxes. Specific vehicles and options are subject to availability and your price may vary. For additional information see your participating authorized Porsche dealer or visit Porsche.com/usa. With Porsche Direct Fuel Injection (DFI), fuel can be applied with millisecond precision. 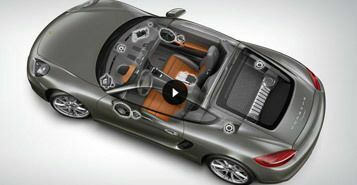 Porsche takes full advantage of the latest technologies and utilizes advanced sensors to predict and understand exactly what the Cayman engine needs at every moment. The fuel is atomized and injected directly into the cylinders where it can be burned with the optimum level of efficiency. Efficiency is not only great for the environment, it's great for power. With DFI the Cayman boxer engine ensures that every molecule of fuel is perfectly utilized. The optional BOSE™ Surround Sound System will deliver perfect sound regardless of the conditions. The BOSE™ system does not just pump out sound, it listens. With its advanced microphone technology the sound system is always adapting to the current situation which ensures that the right sound will always be produced. With a total output of 445 watts and 10 loudspeakers, the right sound will be everywhere. The BOSE™ Surround Sound System is a sound system that is worthy of the Cayman. 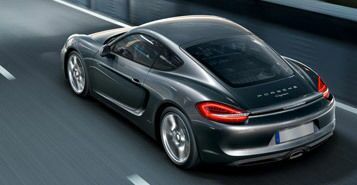 For complete agility and superior handling Porsche has devised the Porsche Stability Management (PSM) and made it a standard feature on all Cayman vehicles. The PSM works with several other systems in the Cayman to ensure that the car not only knows everything about its current driving situation, but that it can react accordingly. It will correct over-steer and under-steer the moment it happens with selective braking. Even wet or low-traction surfaces are no match for the hyper-intelligent PSM system.